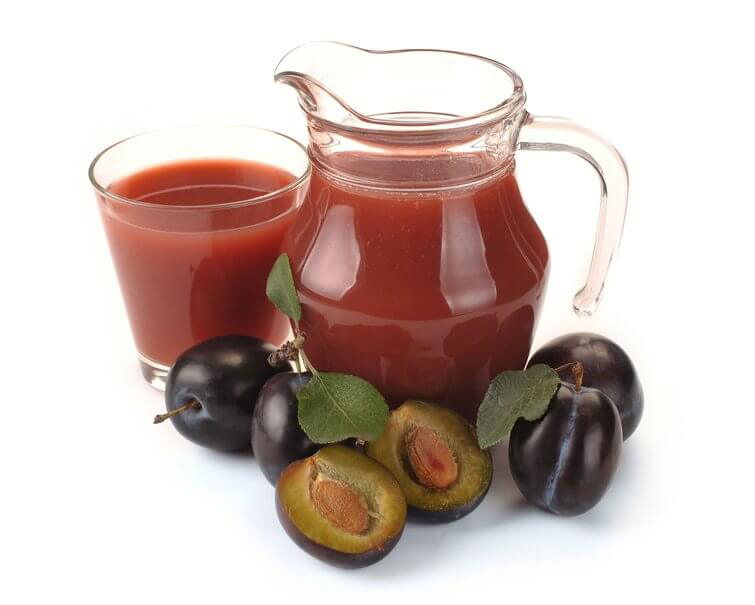 Prunes are dried plum which simply means the juice extracted from prune contains various plum benefits. The scientific name of plum is Prunus domestica. More than thousands of varieties of plums are cultivated to dry and make prunes. When the plum, it retains all nutrients but also promotes particular ingredient called sorbitol. 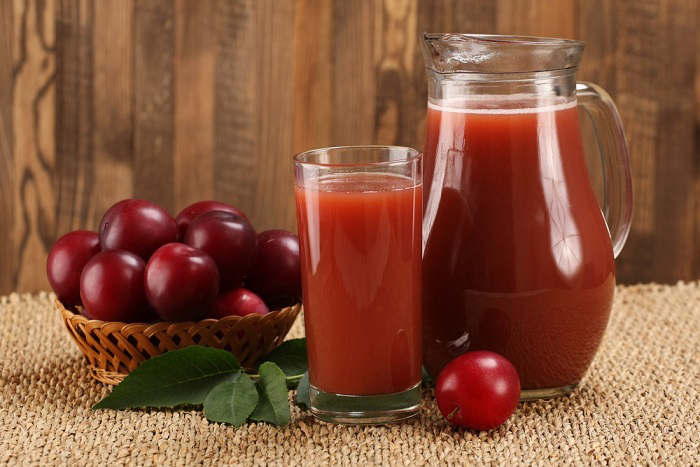 The juicing process begins when the plums are harvested and dried. Besides its nutrients, it is also good due to the presence of fiber with combination of minerals, antioxidants and vitamins found in this juice. Being a great source of energy, it does not cause rapid change in level of blood sugar. Prunes have pleasant taste and longer shelf life. 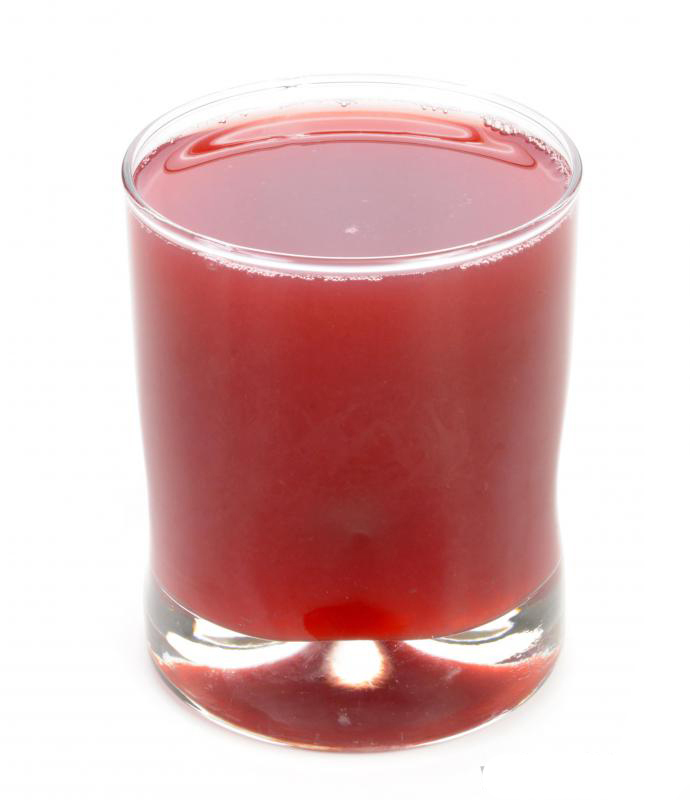 Typically, juice is diluted with water to make a tart and rejuvenating drink. It has specialized health benefits such as it is beneficial to deal with constipation due to the presence of wide range of nutrients. It has significant level of fructose, potassium, sorbitol, manganese, iron, copper and various antioxidants. The benefits of Prune juice are well known. Besides its use as a mild laxative, it has other benefits as well. Rich in antioxidants, prune juice is used to counteract free radicals which cause cellular damage. Prune juice has antioxidant specifically carotenoids which is essential for maintaining eye health. The dietary fiber found in it is essential for digestive health and prevent chronic ailments. Keeping these benefits aside, it is a great source of manganese, magnesium, potassium, iron and Vitamin K, C and B6. It also possesses riboflavin and niacin which are vital B complex vitamins. 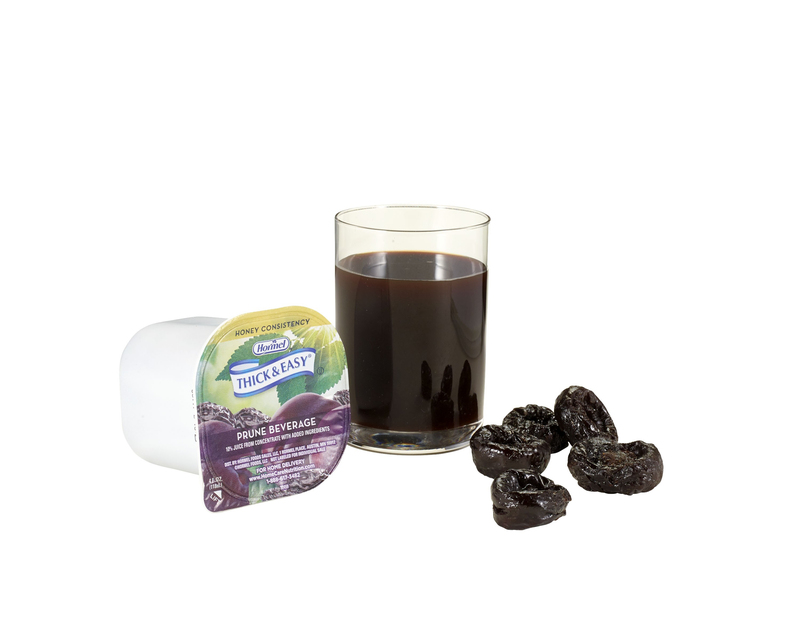 Prune juice effectively counteract constipation which has become a common problem experienced by people of all ages. One who suffers from constipation regularly should use natural laxatives such as prune juice to the diet in order to maintain proper digestive system. The supplementation of prune products provides dietary fiber, energy and water and also provides relief from constipation symptoms. It soften stool, promotes frequency of bowel movement, lower pain and also length of each movement. An insoluble fiber found in prune juice fuels healthy bacteria in digestive system which maintains digestive health called probiotics. It must be found in large quantities in gut which helps to maintain healthy immune system and digestive tract. 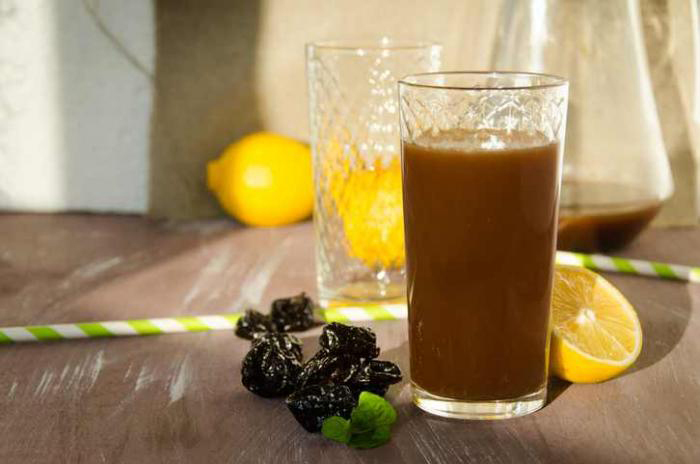 Study conducted on prunes and prune juice on cancer shows significant effect on colon cancer cells. Juice helps to stop the growth of colon cancer and promoted apoptosis in those cells. 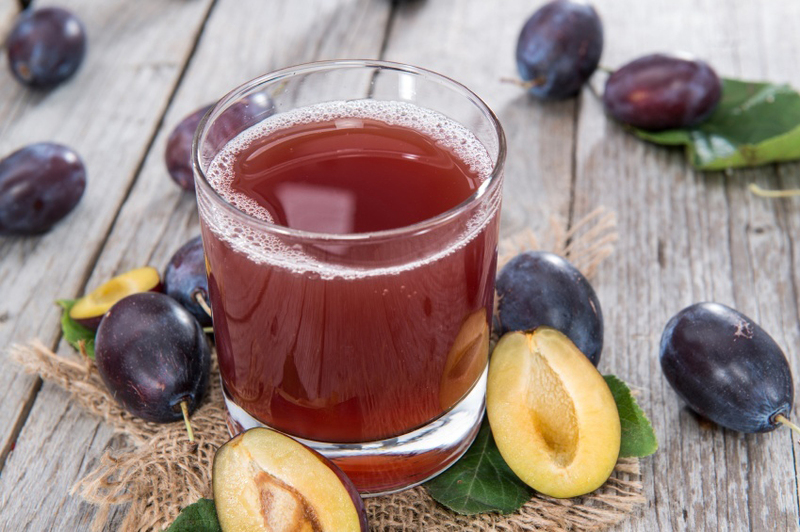 Researchers have introduced three forms of healthy dietary fiber which includes prune juice and found that it eliminated the need of pharmaceutical laxative. Rich in antioxidants, prunes helps to prevent and slow down diseases such as coronary heart disease. Dried plums have phenolic compounds that inhibit LDL cholesterol oxidation which is responsible for cardiovascular problems. 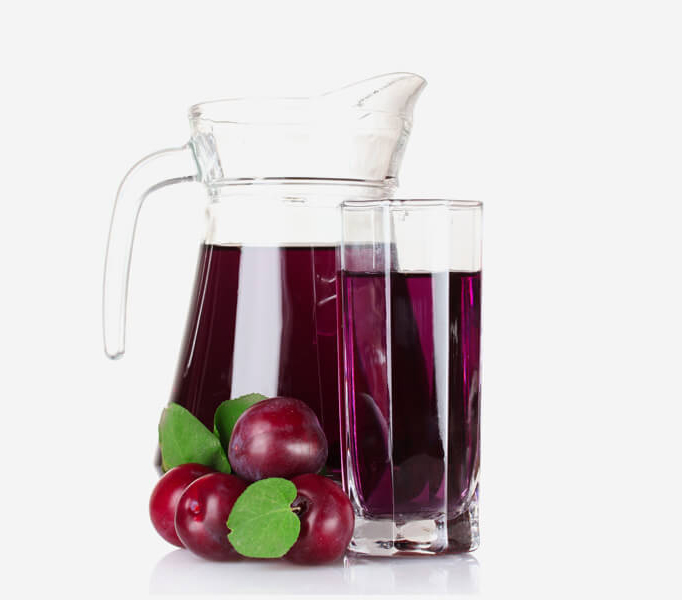 Prune juice has potassium which beneficial to maintain healthy heart. Atherosclerosis is a heart condition which involves buildup of cholesterol, plaque and other substances on artery walls. Study shows that consumption of dried plums effectively slow down the spread of atherosclerosis. Plums and dried prune products have soluble fiber which interferes the absorption of dietary cholesterol in the body. Prune juice has high content of essential antioxidants which helps to prevent free radicals damage caused from chemicals in plastics and harmful processed foods. Prune juice has peroxyl radical which is an intermediary in developing problematic free radicals which causes buildup of plaque in the body. 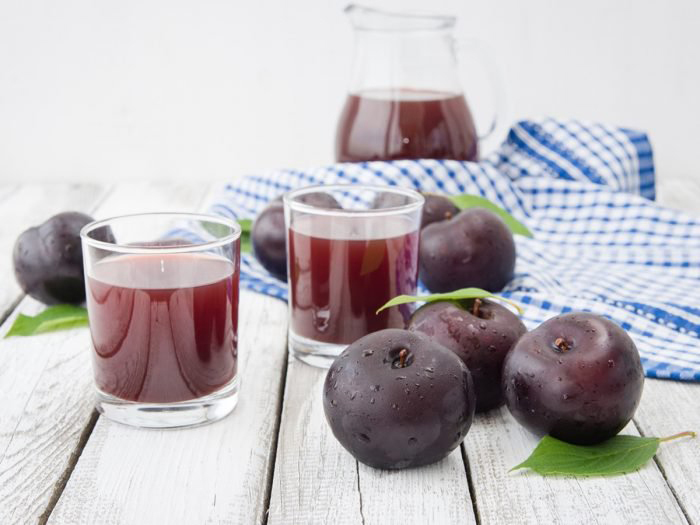 Prune juice provides antioxidative effect on peroxyl radical. Plum products have significant amounts of zeaxanthin and lutein which are two carotenoids essential to maintain eye health. Prune juice prevents various diseases associated to liver. Study shows an improvement in function of liver when added whole prunes and prune juice to the diet. It also improved two markers of liver function which also includes alanine aminotransferase which releases in huge quantities in blood when liver is diseased or damaged. Prune juice is also beneficial for maintaining bone health. When study was conducted on postmenopausal health, the juice prevent bone turnover from growing to too high levels, reverse bone loss, prevent bone loss and also reverse bone loss by changing metabolism and promoting antioxidant activity in bones. This juice contains vitamin C, antioxidants and B family vitamins which are required for nerve and brain function. 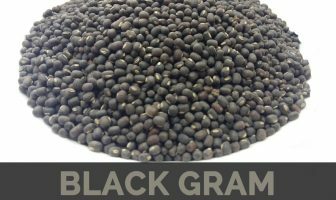 It also eliminates oxidative stress and reduces the chances of neurodegenerative diseases such as dementia and Alzheimer’s disease. 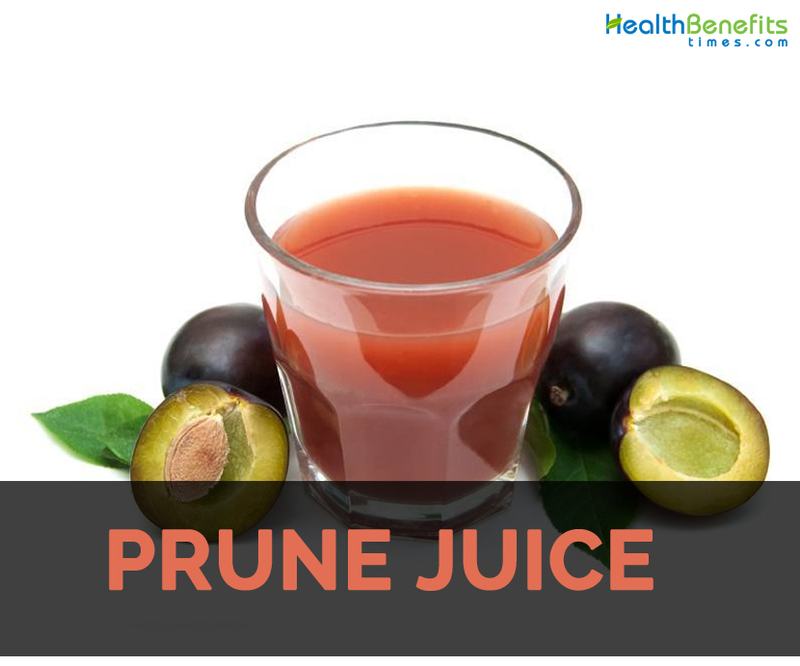 Prune juice has high content of dietary fiber but sorbitol acts as a laxative substance. Some people use this beverage for its emptying effects but its excessive intake causes abnormal gas, bloating and diarrhea. It also causes dehydration when one starts to experience diarrhea symptoms. 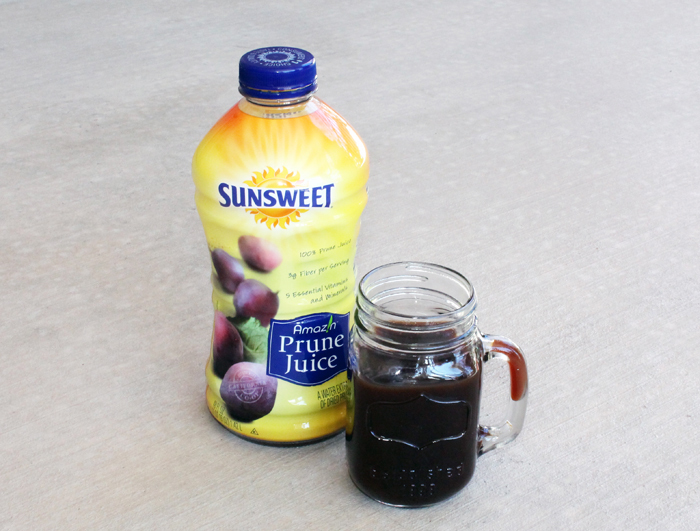 A glass of prune juice contains 180 to 200 calories. So excessive consumption of prune juice increases an intake of calorie for the day and promotes the risk to gain weight. Studies have associated an intake of prune juice with lowering level of blood sugar. It helps to manage the symptoms of diabetes. But one who are on blood sugar lowering medication should consult the doctor before adding prune juice. Prune juice contains adequate amount of acrylamide, which is a carcinogenic and neurotoxin substance. Though the concentration is low, it is still harmful for those with high level of oxidative stress and with high chances of various cancer. Boil five cups of water by adding some of the boiled water with the prunes to a heat-safe container. Till the prunes become submerged, fill the container. Set rest of the boiled water aside for later use and then allow prunes to soak for about 12 to 24 hours. Blend water and prunes soaked till smooth. With the use of sieve, push mixture to a one liter container by eliminating solid pieces. If desired, add pear juice to sweeten. Fill the juice to full liter by using remaining boiled stir and let it chill. It could be kept to one week in refrigerator. Calories in 1 cup (256 g) 182 Kcal. Calories 182 Kcal. Calories from Fat 0.72 Kcal.